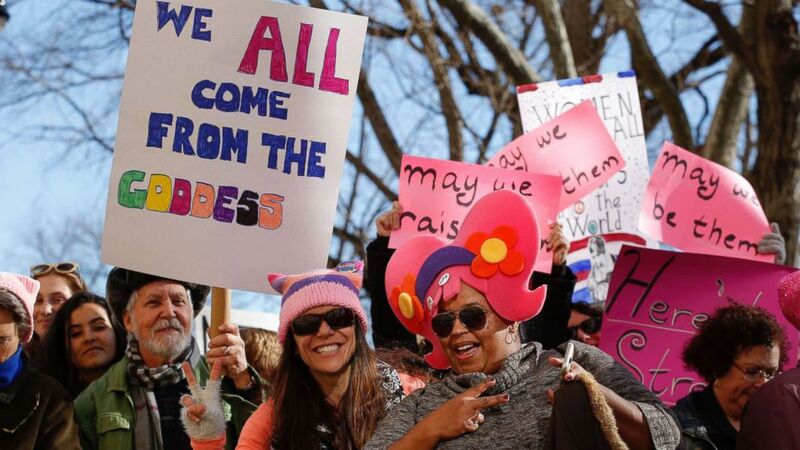 The Women's March returned to dozens of cities across the country this weekend. 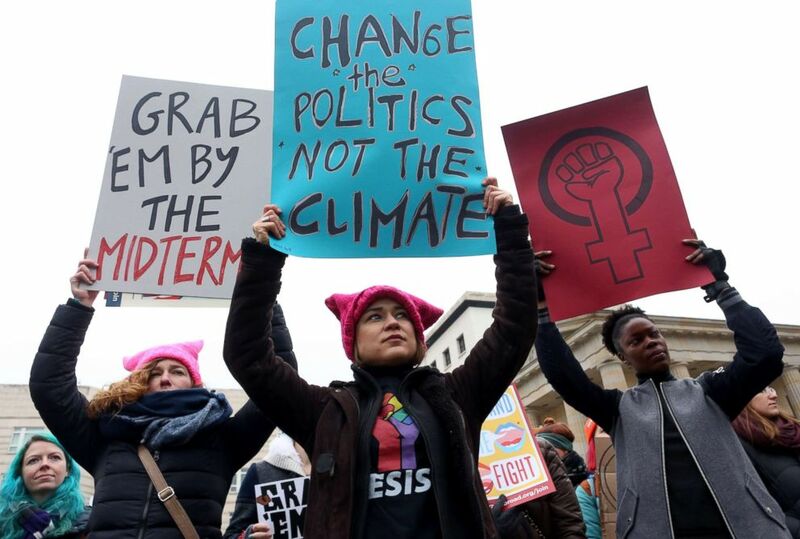 The Women's March returned to dozens of cities across the country this weekend, with women and their allies protesting President Donald Trump's agenda and calling for political power at the polls. 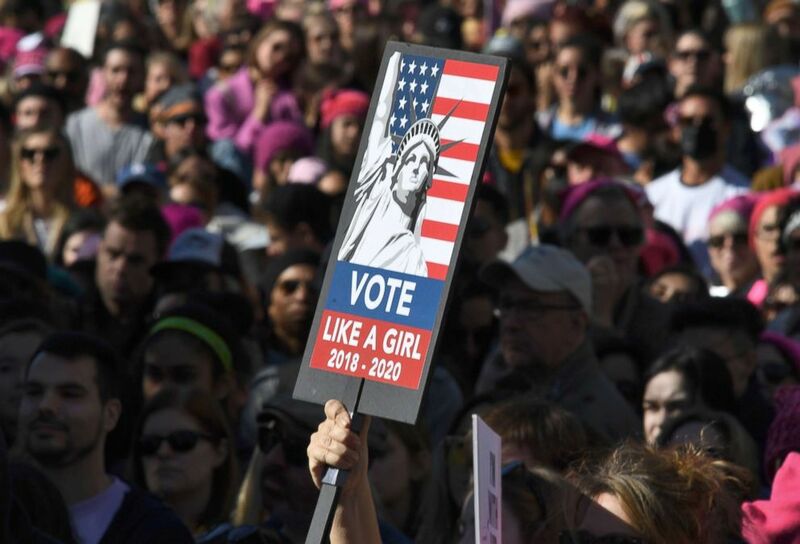 The main event for the 2018 Women's March, entitled "Power to the Polls," will take place Sunday in Las Vegas. 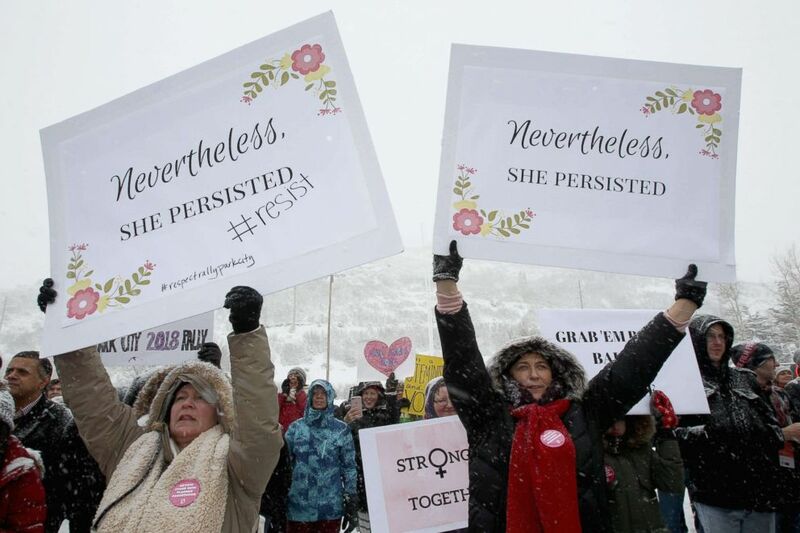 But hundreds of other anniversary marches and events were held elsewhere in the nation -- and around the world -- on Saturday. 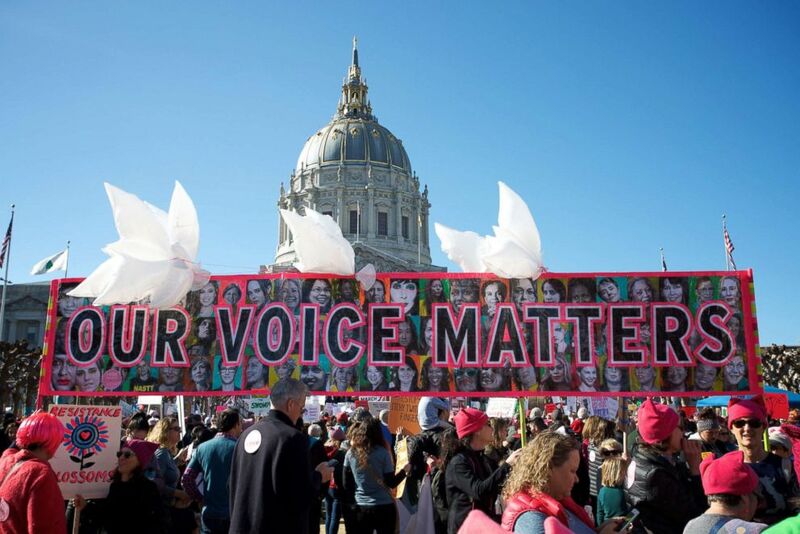 (Thor Swift/Polaris) Thousands of marchers fill the streets at the Women's March in San Francisco, Jan. 20, 2018. (Adam Berry/Getty Images) Activists participate in a demonstration for women's rights in Berlin, Jan. 21, 2018. 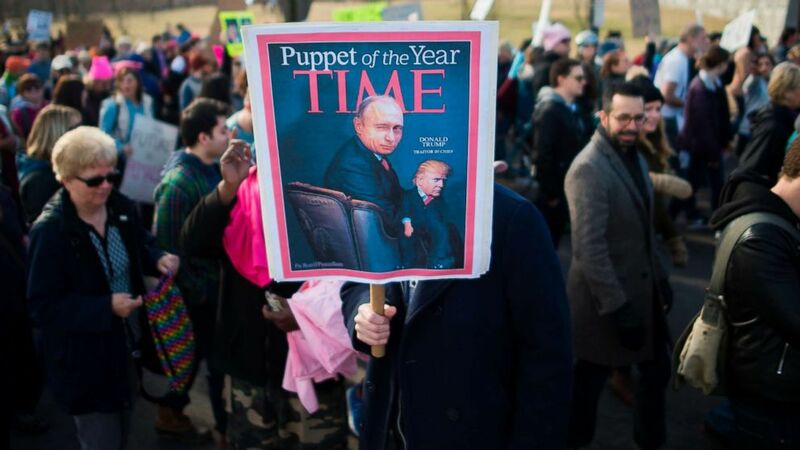 (Guy Bell/REX/Shutterstock) Participants chant "Times Up" as they stage a rally on the anniversary of the Women's March in London, Jan. 21, 2018. 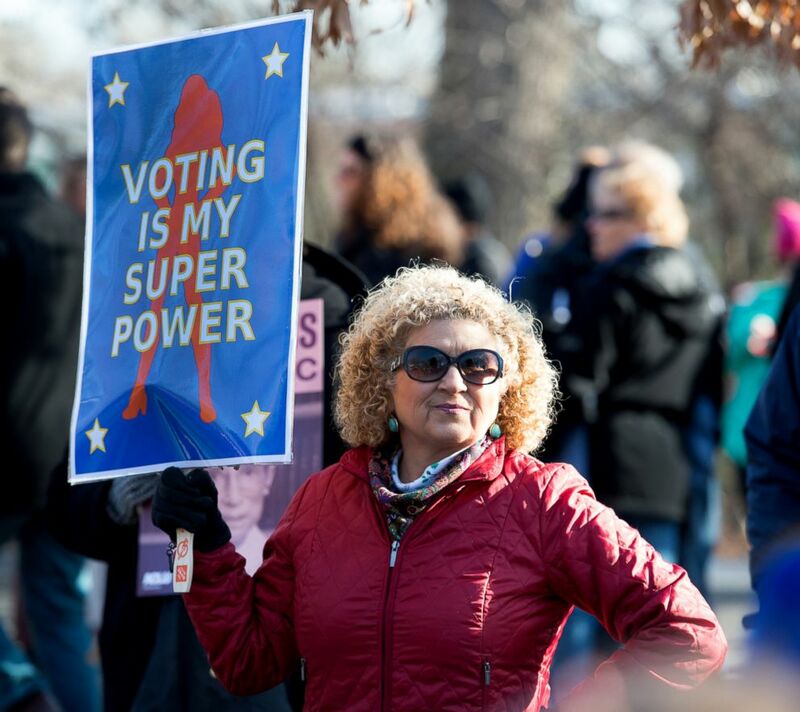 (Andrew Caballero-Reynolds/AFP/Getty Images) A protester holds a sign following the Women's March on Washington 2018: March On The Polls! 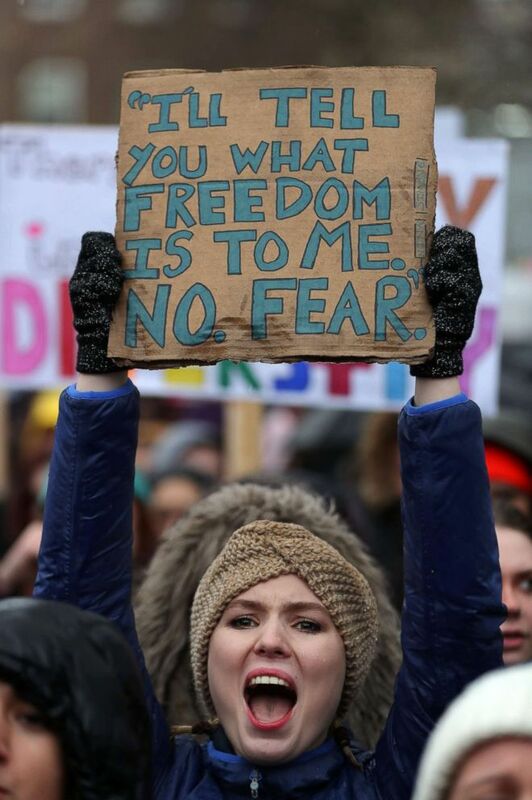 at the National Mall, Jan. 20, 2018 in Washington D.C.
(Daniel Leal-Olivas/AFP/Getty Images) A protester holds up a placard during the Women's March in central London, Jan. 21, 2018 as part of a global day of protests, a year to the day since Donald Trump took office as U.S. president. 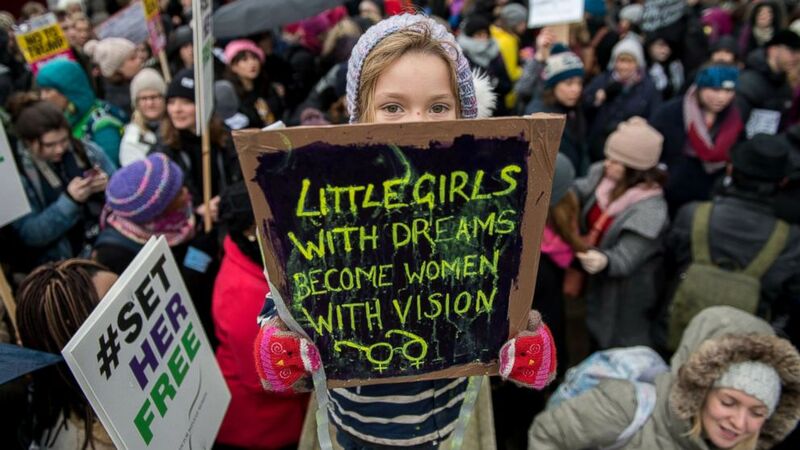 (Chris J Ratcliffe/Getty Images) Orla Dean, 5, holds a placard during the Time's Up rally at Richmond Terrace, opposite Downing Street, Jan. 21, 2018 in London. 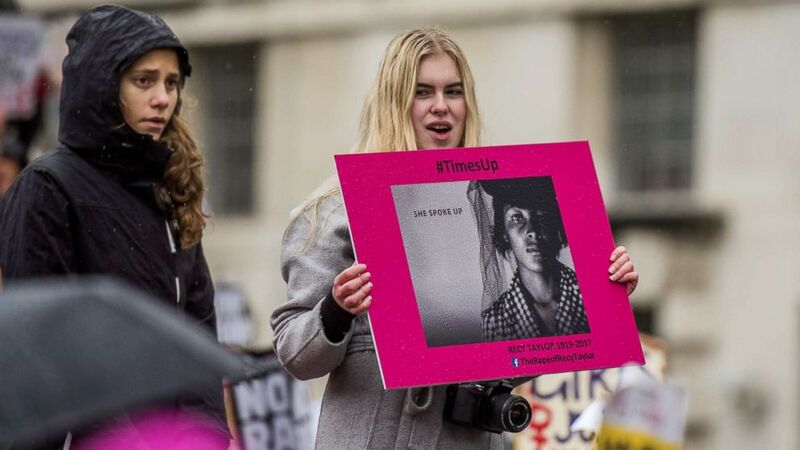 The Time's Up Women's March marks the one year anniversary of the first Women's March in London and in 2018 it is inspired by the Time's Up movement against sexual abuse. 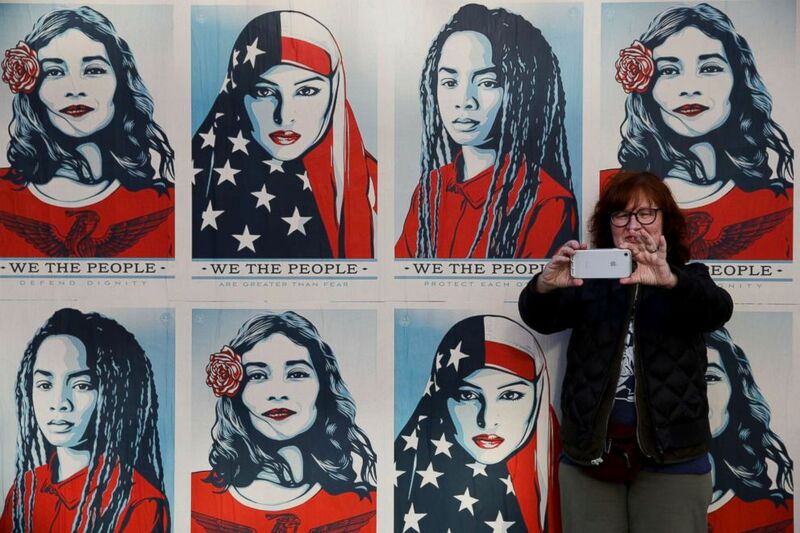 (Jae C. Hong/AP Photo) A participant takes a selfie in front of posters supporting women's rights during a Women's March in Los Angeles, Jan. 20, 2018. 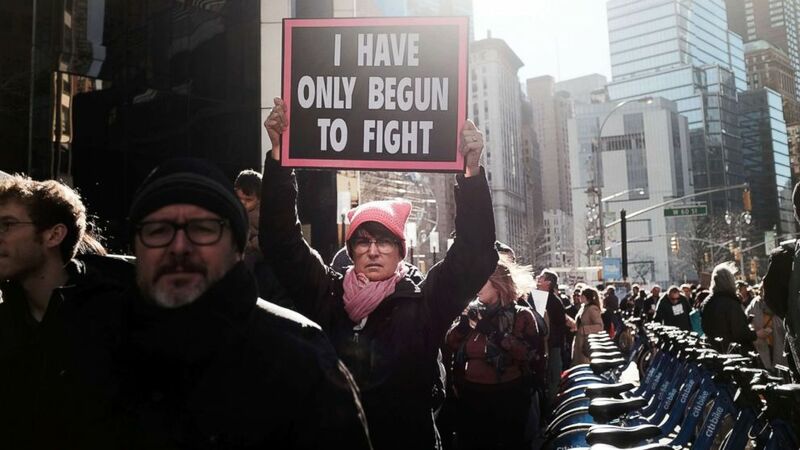 (Emily Knapp/ABC News) A participant in the New York City march with her sign, Jan. 20, 1918. 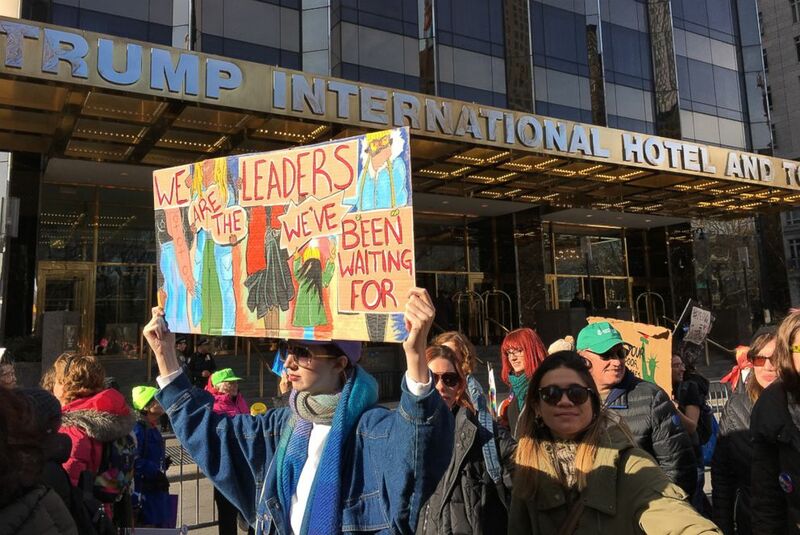 (Emily Knapp/ABC News) Participants in the New York City March as they passed the Trump International Hotel and Tower on Central Park West, Jan. 20, 2018. 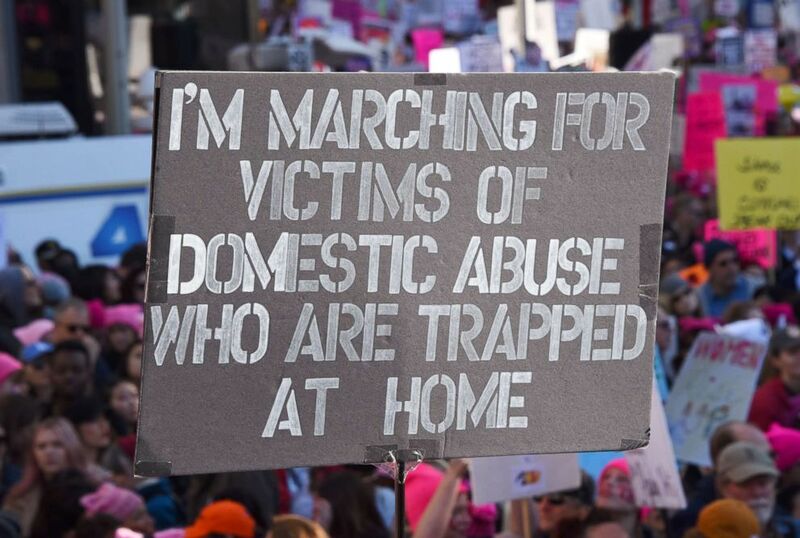 (Mark Ralston/AFP/Getty Images) A sign held by one of the participants, part of a 500,000 strong crowd,in Los Angeles, Calif. on Jan. 20, 2018. (Pablo Martinez Monsivais/AP Photo) Kiara Romero from Rockville, Md., joins the Women's March demonstrators as they walk past the White House in Washington, D.C.,Jan. 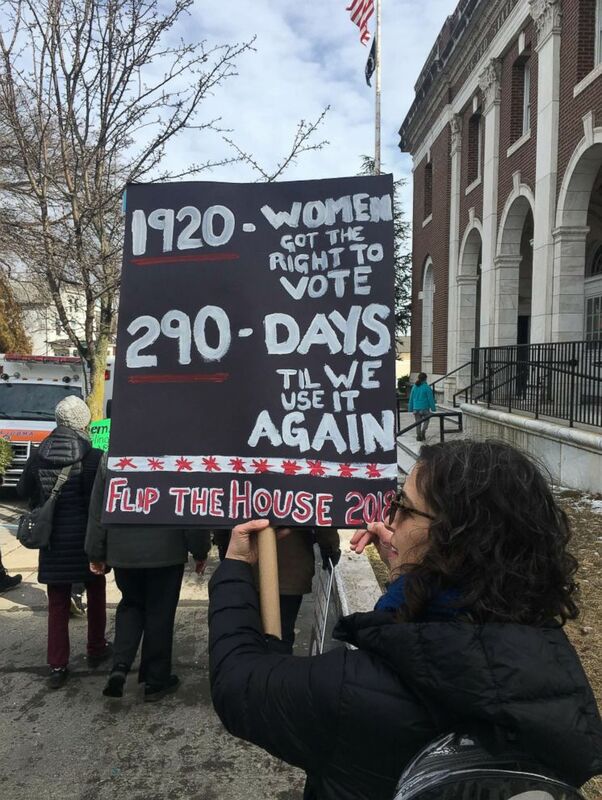 20, 2018. 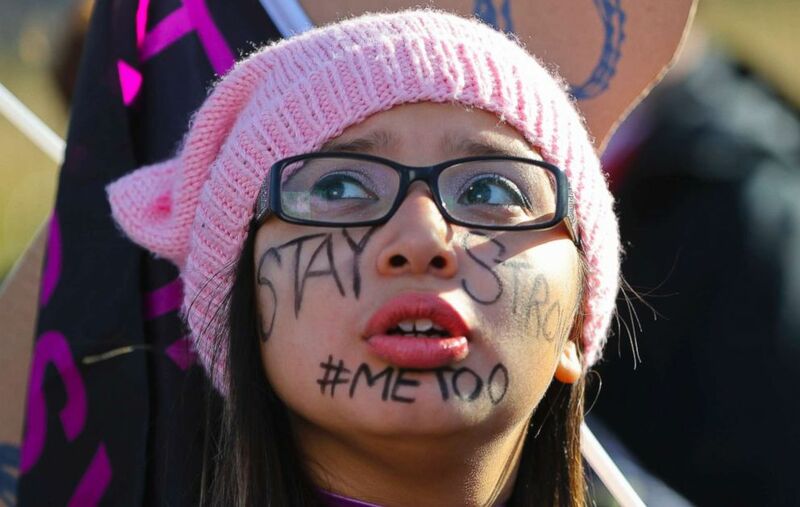 (Araya Diaz/Getty Images) One of the participants at the 2018 Women's March in Los Angeles, Jan. 20, 2018. (Joe Lambert/Courier Post via USA TODAY NETWORK ) Participants marching towards the Museum of Art in Philadelphia, Pa., Jan. 20, 2018. 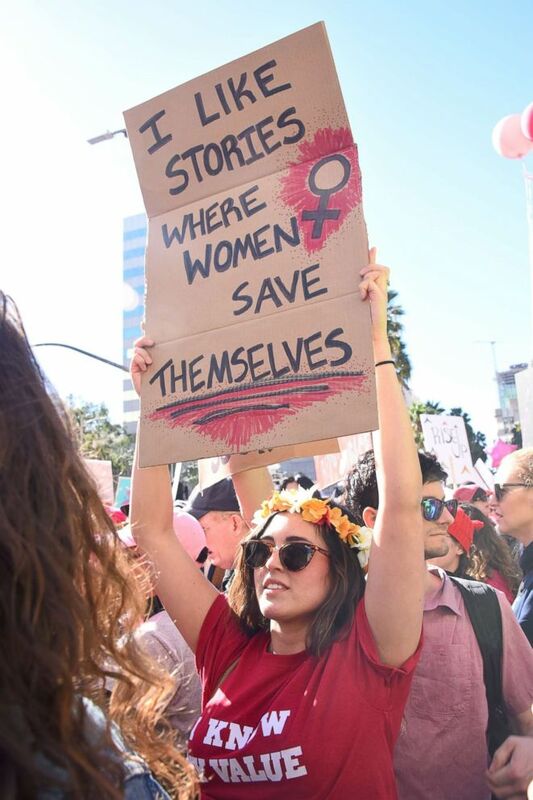 (Araya Diaz/Getty Images) One of the many signs that were on display during the 2018 Women's March at Pershing Square in Los Angeles, Calif., January 20, 2018. 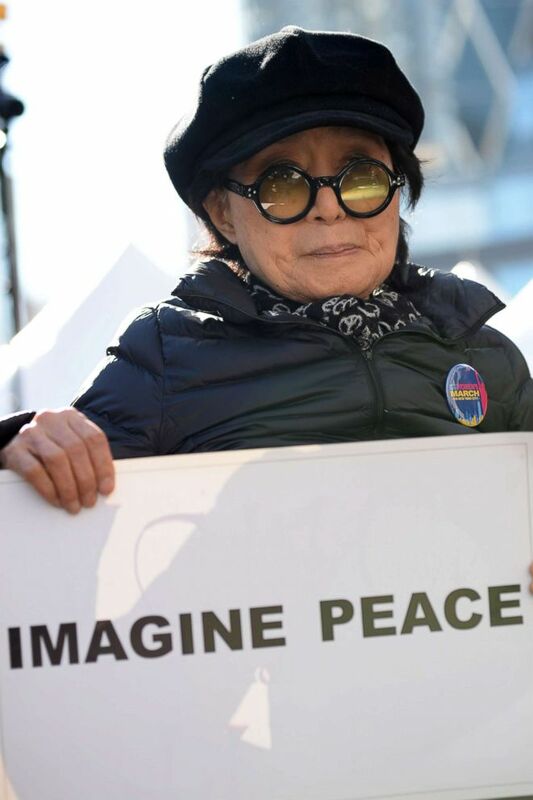 (Kristin Callahan/ACE Pictures/REX/Shutterstock ) Yoko Ono at the Women's March rally in New York City, Jan. 20, 2018. 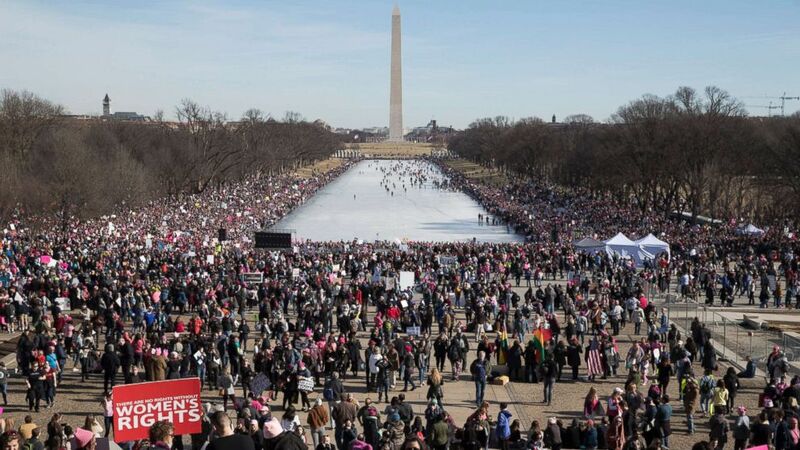 (Michael Reynolds/EPA) Thousands of people participate in the Women's March, beside the Lincoln Memorial Reflecting Pool in Washington, D.C., Jan. 20, 2018. 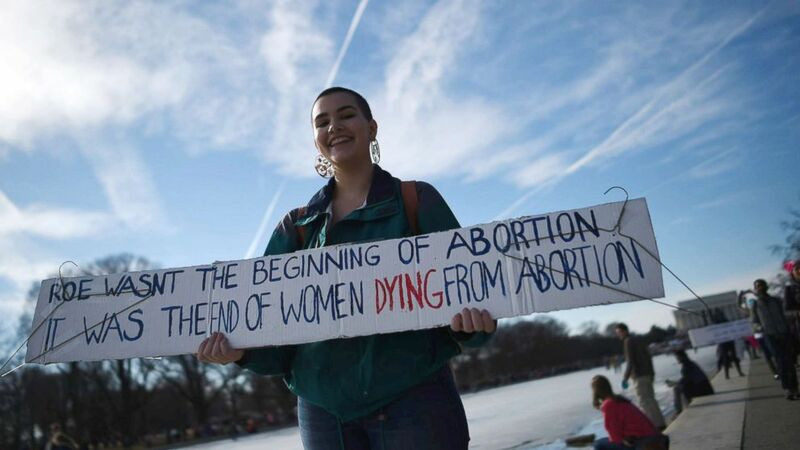 (Andre Caballero-Reynolds/AFP/Getty Images) A woman holds a sign during the Women's March on the National Mall, Jan. 20, 2018 in Washington D.C.
(Tommaso Boddi/Getty Images) A view of the Women's March during Sundance Film Festival 2018, Jan. 20, 2018 in Park City, Utah. (Jason Minto/The News Journal via USA Today Network) Cathryn Harjung of Elkton, Md. holds her sign before the start of the Women's March in Newark, N.J.
(Eduardo Munoz/Reuters) People take part in the Women's March in New York City, Jan. 20, 2018. 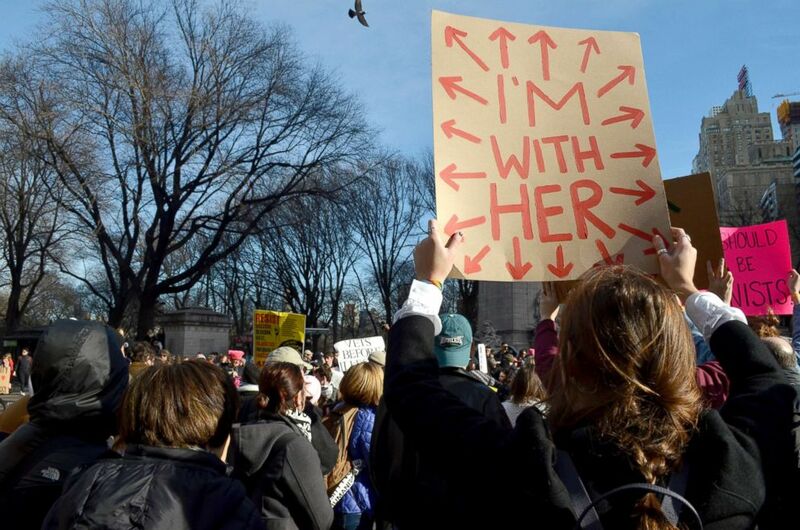 (Kena Betancur/AFP/Getty Images) A man holds a sign as he attends the Womens March, Jan. 20, 2018 in New York City. 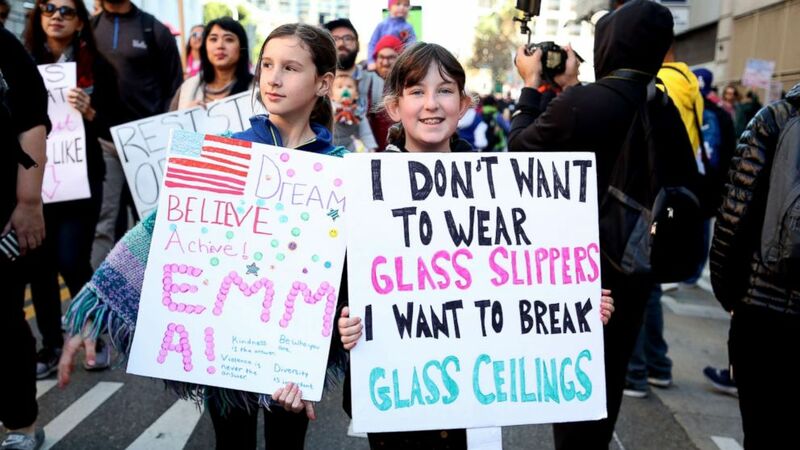 (Chelsea Lauren/REX/Shutterstock) People took to the streets of downtown Los Angeles for the Women's March, Jan. 20, 2018. 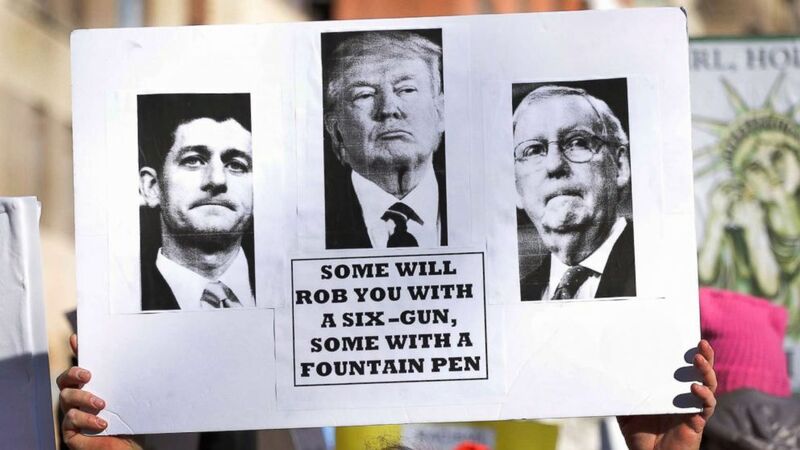 (John Chadwick) A protester in Morristown, N.J., holds a sign focusing on the upcoming midterm elections, Jan. 20, 2018. 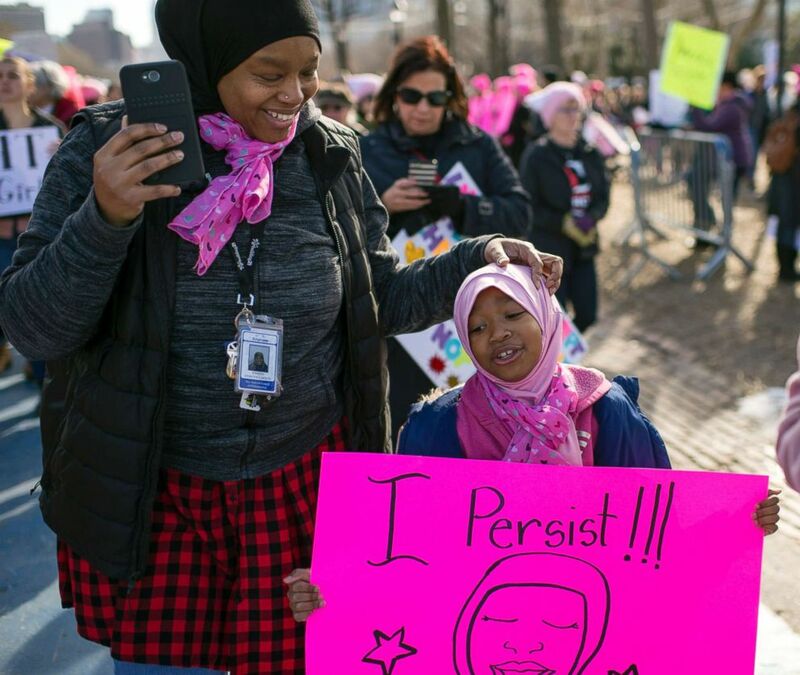 (Aaron Bernstein/Reuters) People participate in the second annual Women's March in Washington, D.C., Jan. 20, 2018. 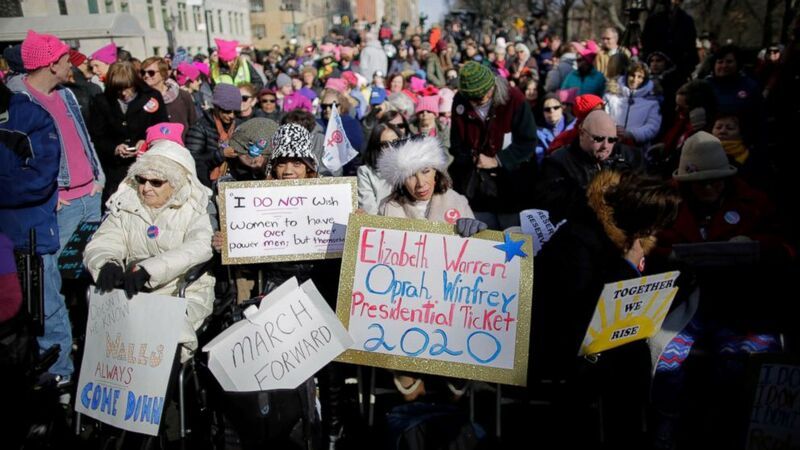 (Kena Betancur/AFP/Getty Images) People gather prior to the second annual Women's March, Jan. 20, 2018 in New York City. 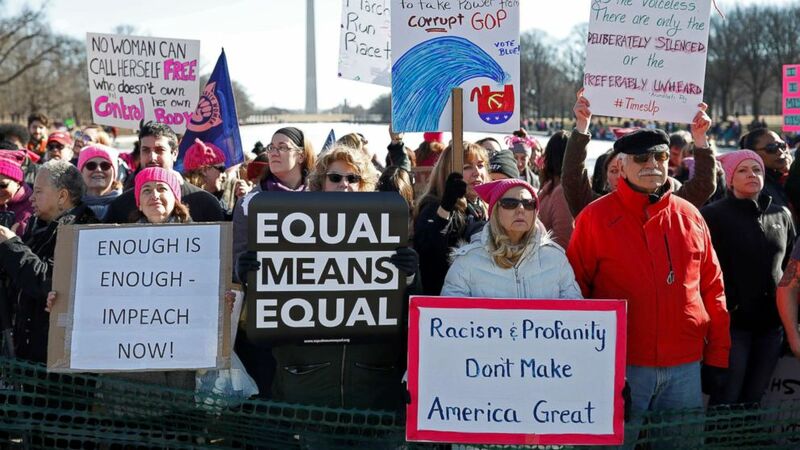 (Spencer Platt/Getty Images) Thousands of men and women hold signs and rally while attending the Women's March, Jan. 20, 2018 in New York.